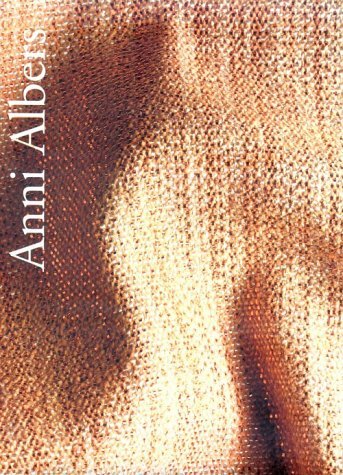 Anni Albers is undoubtedly the most widely known textile artist of the 20th century. Her Bauhaus-inspired aesthetic, like that of her husband, painter Josef Albers, has been tremendously influential in both art and design. This publication accompanies a centennial exhibition of Albers's weaving and printmaking showing at the Jewish Museum in New York after stops in Venice and Paris. The text and plates provide a solid overview of Albers's life, work, and beliefs. Weber, director of the Josef and Anni Albers Foundation and friend of both Albers and her husband at the end of their lives, contributes an affectionate memoir. A cogent summary of Albers's artwork and its impact by art historian Virginia Gardner Troy is accessible to general readers, but a technical section by Jean-Paul Leclercq uses specialized language that will not be understood by those without a technical knowledge of weaving. Still, this is an improvement over Weber's catalog to a Smithsonian show 15 years ago (The Woven and Graphic Art of Anni Albers, LJ 9/15/85) and is recommended for most art and design collections.